The upcoming flagship smartphone from OnePlus, the OnePlus 7 is expected to come with a pop-up selfie camera similar to the Vivo V15 Pro to offer more screen real-estate without a notch or a cutout on display. 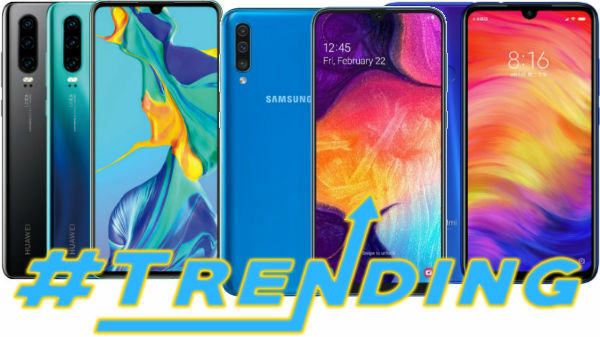 One more interesting aspect of the OnePlus 7 is the fact that the smartphone will have a gradient design, similar to the Redmi Note 7 Pro, Huawei P20 Pro, and other smartphones. 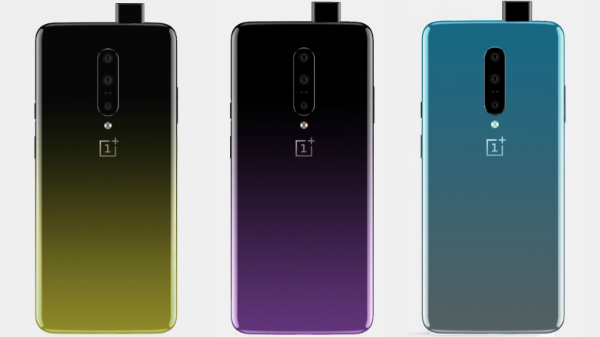 According to the latest leak, the OnePlus 7 will be available in Black Yellow, Black Purple, Cyan Grey colors. These images also indicate that the OnePlus 7 has a triple camera setup on the back with a pop-up selfie camera. The back of the smartphone does not have a fingerprint sensor, and the OnePlus 7 is most likely to come with an in-display fingerprint sensor, similar to the OnePlus 6T. The OnePlus 7 is speculated to feature a 6.5-inch Optic OLED display with FHD+ resolution, protected by 2.5D curved tempered glass. The Qualcomm Snapdragon 855 SoC will power the OnePlus 7 with at least 6 GB RAM and 128 GB of internal storage. Like every other OnePlus smartphone, the OnePlus 7 will have a dual nano-SIM card slot with support for 4G LTE and VoLTE on both the slots. And the company is most likely to launch the 5G variant of the OnePlus 7 in select markets. 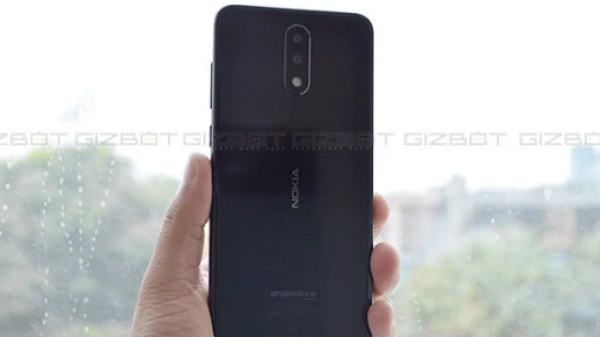 Back into the optics, the device is most likely to have triple cameras on the back with a standard RGB sensor, a depth sensor, and a super wide angle lens, similar to the Vivo V15 Pro. The OnePlus 7 is expected to come with a 48 MP Sony IMX 586 sensor, which is a true 48 MP camera, which uses pixel binning technology to reproduce 12 MP images. The OnePlus 7 is expected to be the most expensive OnePlus smartphone (base variant) and is expected to cost Rs 40,000 in India or $600 in the United States of America.